Cigar chain-smoker and all-around war hero Winston Churchill once mused, “Russia is a riddle wrapped in a mystery inside an enigma.” While Child 44 isn’t quite that indecipherable, Churchill’s sentiments perfectly summarise the disjointed and fragmented adaptation of Tom Rob Smith’s U.S.S.R.-based novel. Director Daniel Espinosa fails to utilise the superb cinematic tools at hand—including a stellar cast and intriguing story—and ends up with a drab affair. It’s a bit like being blessed with the whole of Home Depot to build your house and coming out with a shed. 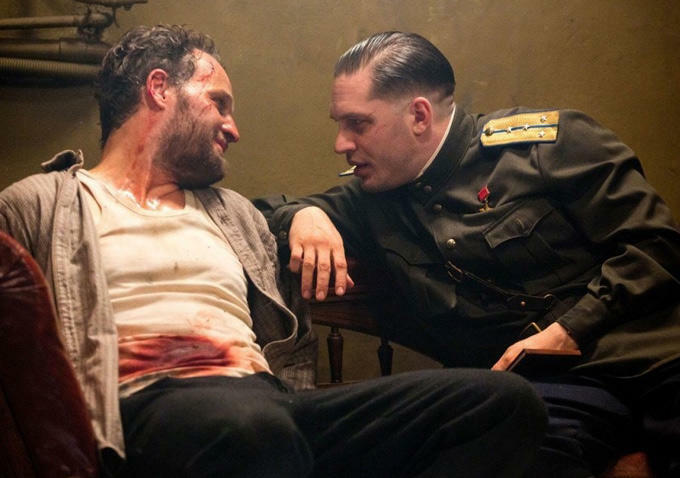 Child 44 takes its cues from Russia’s most famous authors and their bleak, harrowing and oppressive portrayals of the Motherland. Calling on the scale of Tolstoy’s War and Peace, the paranoia of Dostoevsky’sCrime and Punishment and the sheer desolation Solzhenitsyn’s One Day in the Life of Ivan Denisovich, Child 44 is, simply put, very Russian. The film aptly combines the aforementioned elements through backdrop of Stalin’s totalitarian regime. In an era typified by secret police and defenestration, the irony is that Stalin decreed there be no murder in the paradise that is Communism. However, when a series of ghastly child deaths pop up all over Russia, there’s trouble in his supposed utopia. Leo Demidov (Tom Hardy), a loyal agent of the Ministry of State Security (MGB), suddenly finds himself questioning his moral beliefs and devotion to the State when asked to cover up these heinous crimes. Rather than subvert justice in line with his duties, Demidov attempts to unravel the murderous conspiracy at the risk of seeing himself carted off to a Siberian Gulag...read the rest of the review at MovieFail.